I’ve had a bad wine year, I think. If I try to think of my wine of the year so far, and we’re near as dammit halfway through it so I should have had some good ones by now, there’s just nothing that stands out. Lots of decent stuff, sure. Plenty of mild, gentle pleasure. But no stars. This is stellar stuff. It’s not just liquid inside this bottle, it’s hope, it’s fun, it’s life. It’s the reason I don’t just buy wine and drink it, but read about it, obsess about it, invest my money and my mind in it. It’s the reason why I shouldn’t just keep buying that £6 wine that I really like but keep looking, keep pushing my boundaries and my budget. It’s a loveable wine. Voluptuous. We first tried it last year, at a charity dinner at a South African restaurant in town called High Timber. It was good. So I bought a bottle in the Waitrose 25% off everything sale (where it’s £17.09 currently, with no discount), and since then it’s been sat in my wine rack, waiting for a special occasion. Today – eating a salad in the garden with my wife and some sunshine – was special enough. It tastes of so much. It sits in your mouth, brassy and bold, caressing it from the inside, daring you to swallow. It’s honeydew and nectarine and all things nice. I couldn’t afford to only drink £17 wines, but £17 isn’t really so much money for something that’s so much better than everything that costs less, really. Delicious. Brilliant. I may have been a little over-effusive in this post. Sorry. 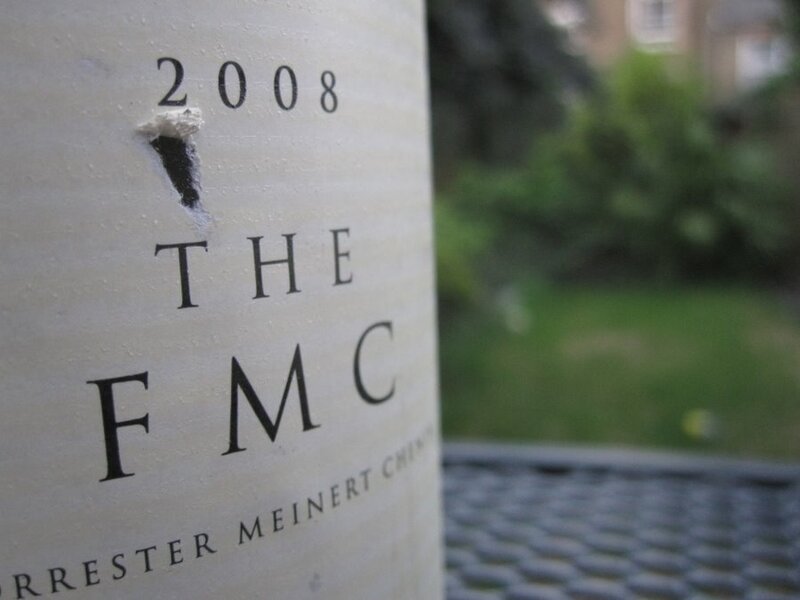 This entry was posted in Uncategorized and tagged chenin blanc, FMC, south africa, Waitrose. Bookmark the permalink.